Nestling in the pretty Norfolk countryside close to the heart of the Norfolk Broads, Willow Barn and single-storey Beech Barn are detached holiday pro..
Nestling in the pretty Norfolk countryside close to the heart of the Norfolk Broads, Willow Barn and single-storey Beech Barn are detached holiday properties dating back to the 1700s, situated in the grounds of the owner’s home. 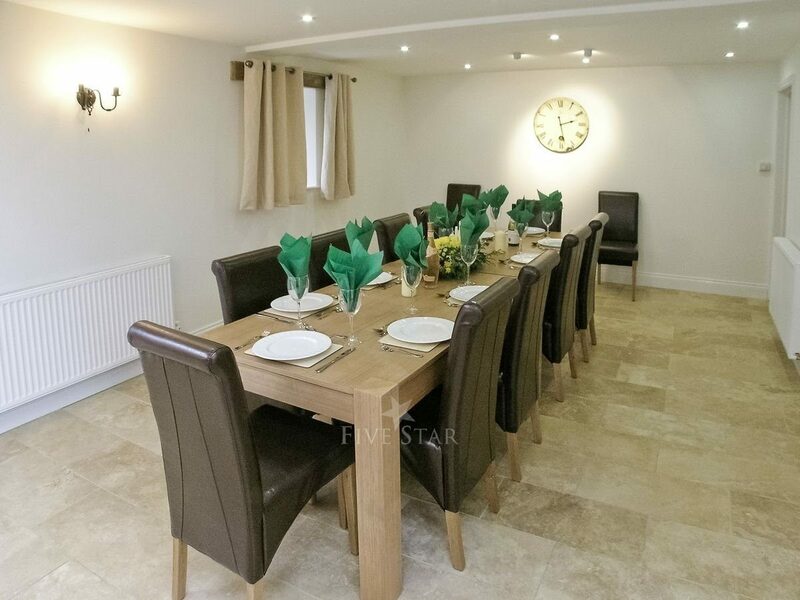 Providing a perfect retreat for discerning larger family groups, these converted barns offer spacious and comfortable accommodation boasting beamed interiors, wood-burning stoves and enclosed separate gardens with private hot tubs, and for a special meal or family celebration gourmet meals can be arranged with the owner. Beech Farm Barns are ideally located for all the family and for nature lovers there is an abundance of bird life. Within walking distance is Alderfen Broad, which is situated in The Broads National Park, a bird watcher’s delight. For the children there is BeWILDerwood Adventure Park with its treehouses, zip wires, jungle bridges and boat trips, which all combined makes a great day out. Nearby is the attractive Broads village of Horning with its selection of tea shops, restaurants and pubs. A day boat can be hired directly from the owner, or book a trip on the Mississippi steamer. The sandy beaches of the North Norfolk Coast are only 10 miles away. Alternatively spend a day in the fine city of Norwich with its magnificent cathedrals, castle, museums, theatres, market and vast array of cafes and shops. There is a wealth of National Trust properties to visit in the area which include Felbrigg Hall, Garden and Park (one of the finest 17th-century country Jacobean houses in East Anglia), Blickling Hall (a magnificent house with woodlands and lakeside walks) and Sheringham Park (beautifully landscaped and renowned for its spectacular displays of azaleas and rhododendrons in late spring). Shops and pub 1½ miles. 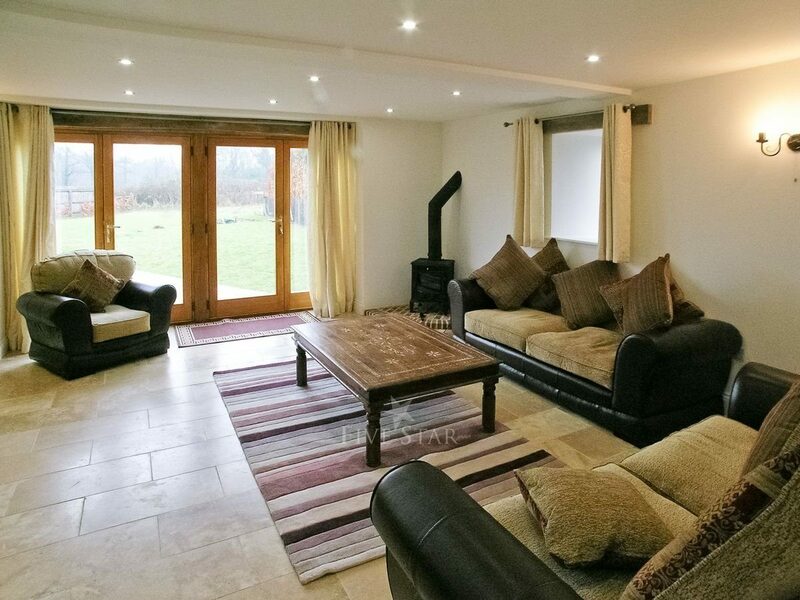 Beech Barn (CZU) can be booked together with Willow Barn (CZB) to accommodate up to 18 guests.Spacious living room with wood-burning stove, tiled floor and French doors. 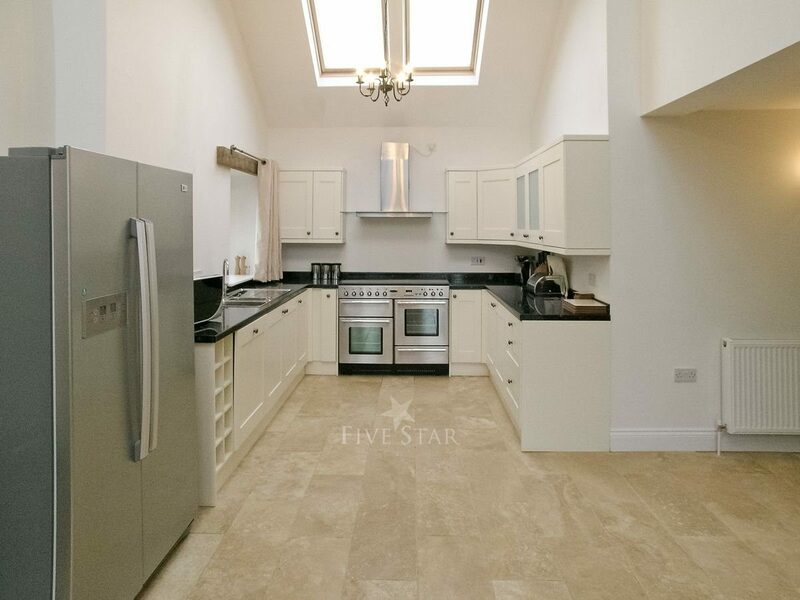 Spacious well-equipped kitchen/dining room with electric range (for cooking) and tiled floor. Utility. 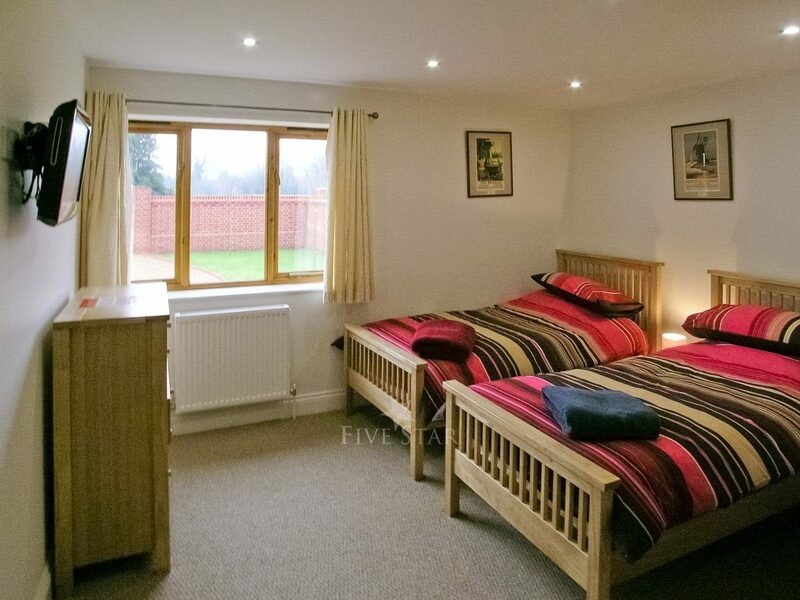 Double bedroom with 5ft bed and en-suite shower room with toilet. 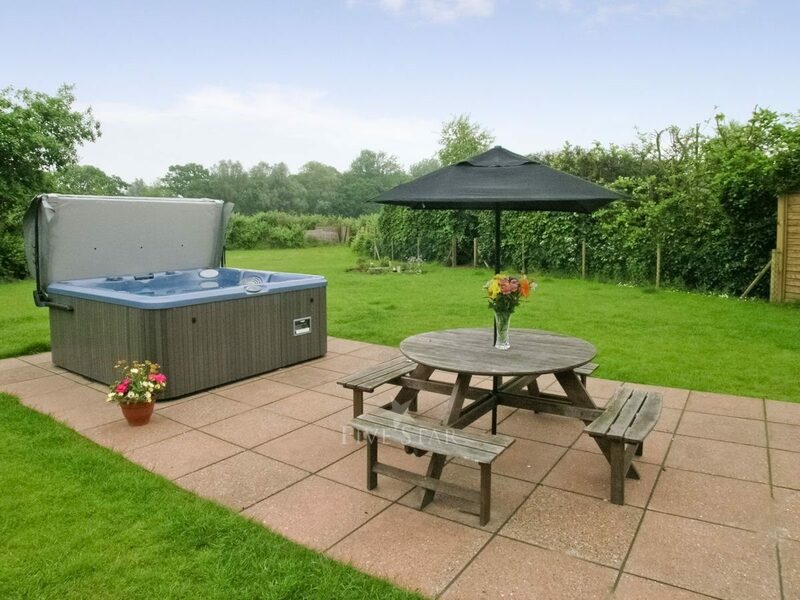 Two twin bedrooms, one with en-suite bathroom and toilet, one with TV/DVD and en-suite shower room with toilet. Separate toilet. First floor: Two double bedrooms, one accessed from living room with 5ft bed, additional single bed (for +1) and en-suite shower room and toilet, one accessed from dining area with additional single bed (for +1) and en-suite bathroom and toilet. Thank you for sharing your stay experience at Willow Barn. We will publish it as soon as possible. My holiday party of 7 ranged from a 3 year old to a 76 year young and the property suited us all. My brother and his family visited for a couple of nights and it was lovely. 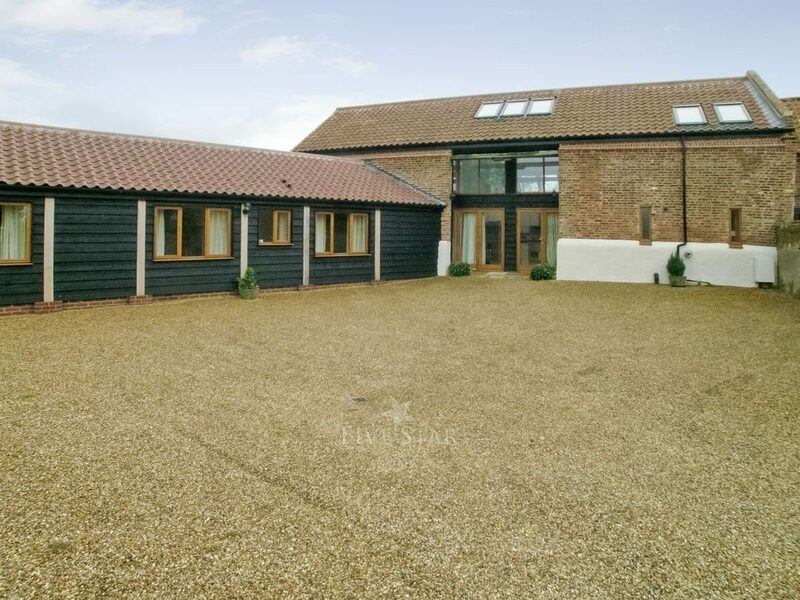 Fantastic location next to the broads, great for walking/sailing. Excellent service from the host. The property was perfect, just what we were looking for. We went there for a 30th birthday celebration and it was great, perfect size and the decor was modern. The hot tub was an added bonus. The hot tub was fantastic, the kitchen very well stocked, and the communal areas exceptionally cosy considering it was snowing outside! Clean, new, no nicknacs, substanctial furniture i.e the cot provided was a proper cot not a travel cot and all the beds were decent wooden beds not a fold out in site. 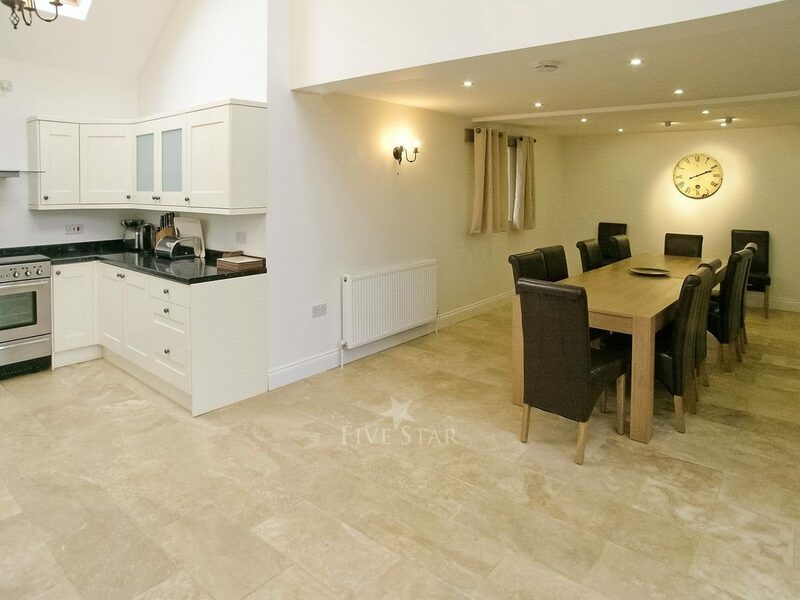 Large open plan kitchen and dining room area, big enough lounge for everyone. Hot tub was a hit with kids and adults. Clean, new, no nicknacs, substantial furniture i.e the cot provided was a proper cot not a travel cot and all the beds were decent wooden beds not a fold out in site.